Gaming Commission executive director Sara Tait says the commission has no interest in shutting down euchre games with small prizes, any more than it would go after an NCAA basketball pool. She says the commission sent an "educational" form letter to the Delaware County Senior Citizens Center, advising them that its entry fee of a couple of bucks and small prizes like a can of peaches were enough to require a charity gaming license. Tait says the agency never intended to do anything else, but the letter was enough to prompt the center to discontinue the game. 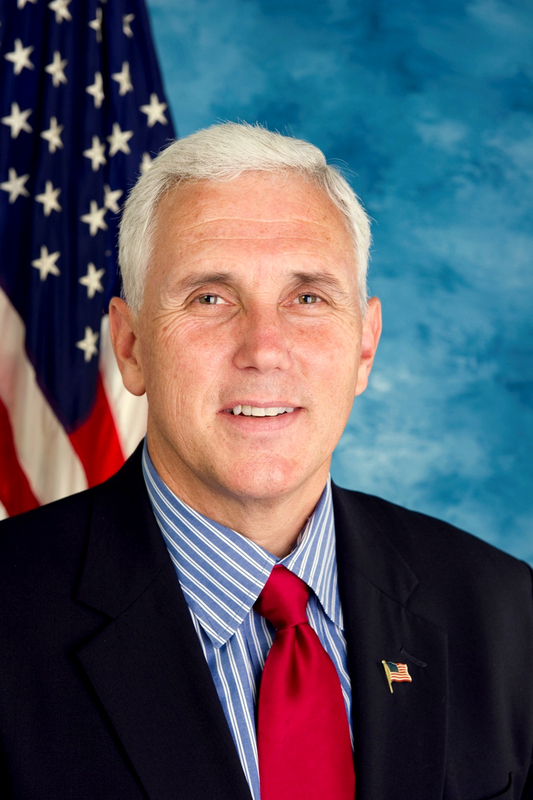 And Pence has directed the agency to review its procedures to ensure that it follows a common-sense standard, and specifically to leave the Muncie euchre game alone. Of course, after the news initially broke liberals rushed to pin the crackdown of senior citizen euchre on conservative Pence. In an InForefront column, former Indianapolis Star reporter Mary Dieter tried to smear the Governor for the Commission sending the form letter. Apparently in Ms. Dieter's liberal world, Governors, at least conservative ones, review and sign off on every communication by state agencies. Given the strident and hateful tone Ms. Dieter takes on anything Pence related, I don't think she seems particularly worried about presenting facts honestly and fairly. Here is what happened. Someone at the Gaming Commission exercised poor judgment in sending out a form letter that is both policy and public relations foolish.. When Governor Pence found out about it he immediately took action putting a stop to any attempt by the Commission to pursue senior citizens from playing Euchre for token prizes. What would Pence's predecessor have done? Governor Mitch Daniels always took a hands-off approach to the agencies, letting them do whatever they wanted often to the point of political embarrassment and foolish policy. For example, when confronted with agencies not paying bills on time and incurring millions of dollars in late fees, Daniels unbelievably, and angrily, defended the agencies. Presented with a similar situation, Daniels would have defended the Gaming Commission as simply doing its job. Unlike Daniels, Pence didn't try to pass the buck and immediately took action. Personally I prefer the latter. The situation of small time gambling is below even the level of pea-shake houses and hardly worthy of attention. Nevertheless, if the law is broken then it should be enforced. By sending a message of 'common sense' really does injustice to the law. Once the issue is raised, the Governor cannot sidestep his responsibilities to his oath of office. He either enforces the law or he is guilty of selective enforcement in violation of his oath. If the argument is with the law itself, then Pence should have said that the issue will be resolved in the next legislative session instead of letting the matter languish. Where is the leadership? If the political legistlators create laws, or allow their bureaucrats to enact regulations, then the consequence- liked or not- is that ALL should strickly follow "the law". Unless, of course, your are a member of the US Senate or the US House of Representatives (most of whom represent themselves far better than they represent their constituencies). Congress, as we know, continually exmepts itself from the laws it passes and exempts itself from the regulations its bureaucrats promulgate. Do we have a name for the Gaming Commission member with the extremely poor judgment in sending out "a form letter that is both policy and public relations foolish""? Well, I respectfully disagree. Remember that the Governor is required to "protect & defend" the Indiana Constitution. If the Gen'l Assembly enacted an unconstitutional law over his veto, the Governor could refuse to enforce it. The judiciary could potentially get involved even. Had he stuck to his guns on JUSTIN we would not have this problem, would we? I think he should go ahead and implement JUSTIN and eliminate the 6,000 paper pushers (or whatever the real number might be) and we'd get better government and better reporting too. Leon, you don't have to convince me. I don't think there was anything wrong with JustIn. The State needs to better consolidate its communications efforts. Government has always provided information and it's always been up to the media to decide whether to publish it. With the internet and other technology of today government can bypass the media and the media is screaming. Too bad. Not a fan of gambling, but I actually think these kind of token gambling activities shouldn't be illegal anyway. But you bring up a good point. Everyone expects "common sense" in enforcement instead of demanding a better law that wouldn't make these activities illegal in the first place. I don't gamble very often & when I do I have a set limit that I can spend; it's the "price" for entertainment. However, the great irony in our state's gambling laws is that our statutes essentially say, "Gambling's bad...unless the Gen'l Assembly says that the state gets a cut...then, it's good!" Well, Mitch Daniels is an anti-fun Nazi. If Pence wants to get somewhere, he should legalize Sunday liquor and take this ancient practice away from the Democrats at a campaign point. Judging from some of the above comments, it appears some are suggesting it's better for Pence to tell people to wink at this violation and it will go away. Either you uphold the law or betray the law or work to change the law. Selective enforcement leads to lower respect for the law, prejudice, and lower respect for those in office who took an oath. There is nothing difficult about this.